If your group is too large for a car but too small for a full-sized bus, an 18-passenger minibus is the perfect option for you. From corporate event shuttles to late-night bar hops in Houston, this reliable minibus is great for small groups and short-distance travel. With amenities like reclining seats, WiFi, and large windows, you’ll always ride comfortably. 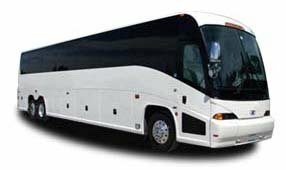 We make it easy to book a bus for all event types in both large and small cities across Texas, including Dallas, Austin, Houston, Frisco, Plano, and more. From business trips and sporting events to wedding receptions and field trips, we’re always prepared to find the perfect bus for you. Call us today at 281-383-9491 to book your bus today!